My family loves cheese and eats it every day. We just love using cheese in sandwiches, pizza and for snacking with crackers. Cheese is a healthy food that has protein and calcium in it. Everyone knows that cheese comes from milk which comes from cows, but did you know that cheese from grass fed cows is good for your heart? Grass fed cows that are pasture raised give great tasting cheese that contain a higher percentage of Omegas-3 fatty acids and CLA's. You now have another reason to eat cheese. Rumiano makes great tasting cheese that is not only organic and Non-GMO, but it also comes form grass fed cows that are pasture raised. These happy cows give cheese that is healthier than conventional cheese. When Rumiano organic cheese was put to the test, the Rumiano learned that their cheese contains over 30% higher Omega-3 fatty acids AND over 25% higher CLA's (conjugated linoleic acid) when compared to conventional cheese. These important fatty acids have been shown to improve cardiovascular and heart health along with many additional health benefits. Check out their results here. My family also loves the taste of Rumiano organic cheese. Their organic cheese comes in many great flavors like Gouda, Cheddar, Chipotle Cheddar, Havarti, and many more flavors that are great for snacking and using in recipes. My favorite flavor of Rumiano organic cheese is Chipotle Cheddar. 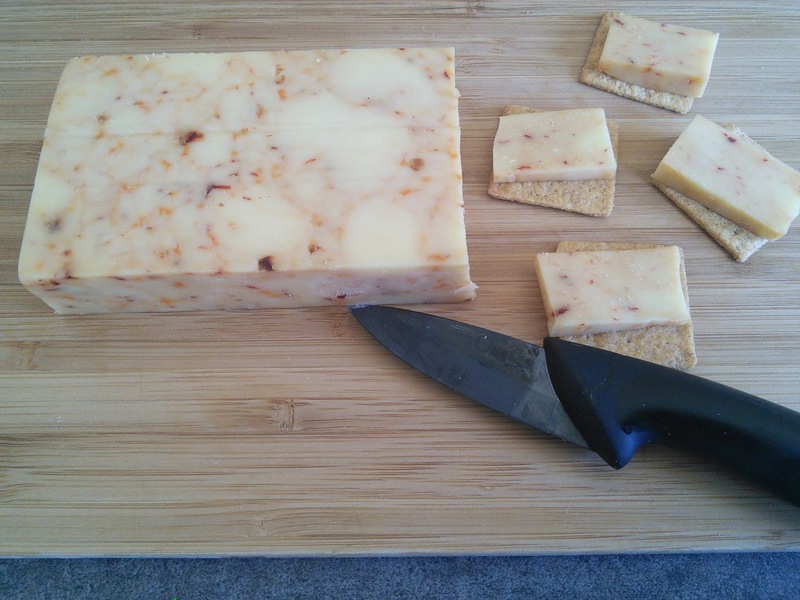 Chipotle Cheddar combines the sharp cream of cheddar with the smokey-spice of chipotle peppers. This cheese is smooth and creamy. 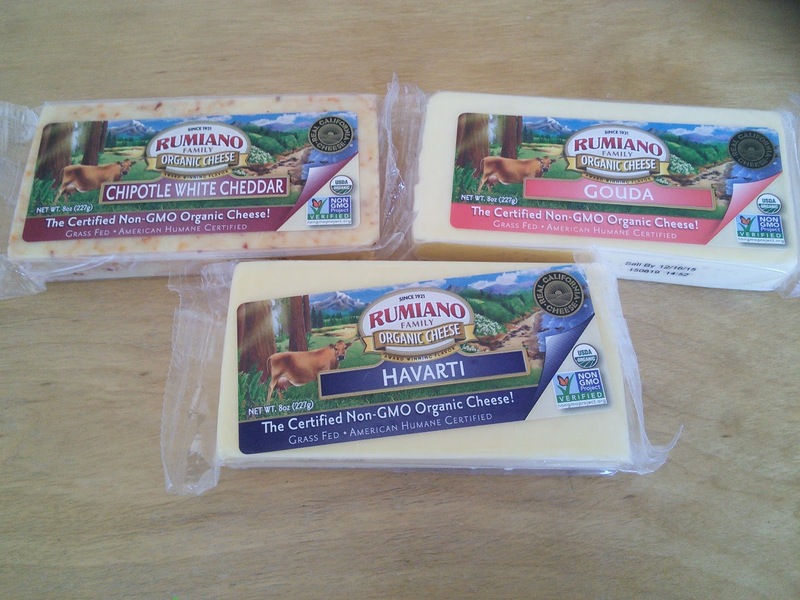 Check out all the yummy flavors of Rumiano organic cheese here. What flavor of Rumiano Organic cheese would you like to taste? On Tuesday, September 8th, 2015, Rumiano is launching their 4th annual Big Cheese sweepstakes. 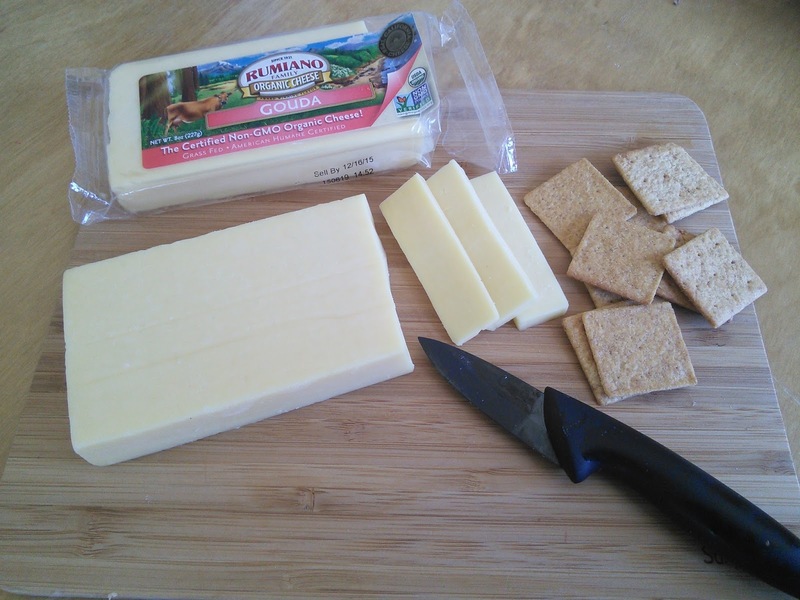 You could win a year’s supply of Rumiano Family Organic Cheese. I’m planning to enter, and you should too. Visit their Facebook, Twitter, and Instagram. "These opinions are my own and I received the above mentioned product in exchange for a review." Sounds good to me. We eat lots of cheese in our house. I am all about organic and GMO free! Not to mention cheese is my favorite food group ;) haha Great post! Yum!! My family LOVES cheese too. We love to do make tapas, so this would be wonderful. I will have to check see if I can find this brand in my local grocery store. Thanks for sharing! i eat a bit of cheese but quite honestly have not been too focussed on making it organic per se. Will look into this. Now I'm totally dying to try that chipotle cheddar flavor. That looks fabulous! Dairy is one of the most important foods you can eat organic! Thank you for the heads up about the contest. I entered! Yummm! I love cheese and that looks great!! If given the chance I would always choose organic cheese. If only they weren't so expensive. I would've loved these in grilled cheese sandwiches! Organic is the best, but the thing is, organic products are expensive. I would love to try the chipotle cheddar. Happy Cows, Happy Cheese. And hurrah for cheese flavors! I love cheese! Will try some of these that are new for me! Non-GMO is so important in foods these days. Can't understand why Congress is trying to deregulate the industry. Those look amazing and they are NON-GMO! Thanks for the recommendation! I'd want to try the Chipotle with cheddar but they all look good. Thats always good to hear they care for the cows well. We love cheese in our family, especially my daughter! I've been wondering how these taste! I'm so sad that I'm dairy-free for m nursling right now. :( I'm a HUGE cheese lover! My Favorite Part Of My Job! $50 (Recover From) Back To School Giveaway!